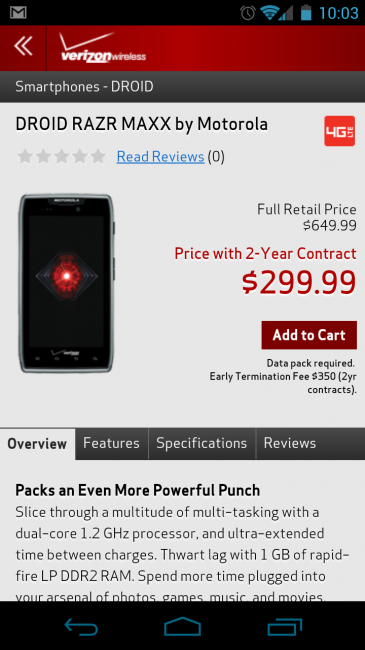 The DROID RAZR MAXX is available now from Verizon Wireless. For $299, you can have one of the thinnest 4G LTE phones on the planet that somehow manages to house a 3300mAh battery. If battery life was ever a concern for you with current LTE tech, this is the phone for you. According to Motorola, this phone should provide you with 21+ hours of talk time, over 2.5 days of streamed music, and days upon days while sitting idle. You can view our CES hands-on with the device here.